Rare Opportunity to Own an Established and Highly Profitable Goddard School Franchise. This Goddard school has been established for 16 years and has a strong record of profitability. It is in a great location and has fully trained and experienced staff in place. This is an ideal opportunity for a successful businessperson who is eager to run a business of his or her own. No prior teaching or childcare experience is necessary. All you really need is the drive and commitment to run a successful School, as the franchisor will provide full training and support. The property is included in the asking price however seller would consider separating the property price from the business. The Goddard School is an early childhood education provider with more than 400 franchised Schools in 35 states. Goddard Schools are the Industry Leader in childcare franchise sector. 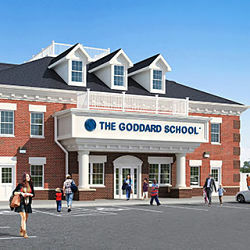 For nearly 30 years, The Goddard School has been a trusted name among parents and families. Its classrooms are safe, nurturing environments for children six weeks to six years, offering age-appropriate opportunities to explore and discover. From infants to toddlers, preschoolers to kindergarteners, highly trained teachers lead each child to reach developmental milestones, preparing the children for social and academic success. GSI was named the No. 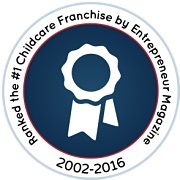 1 Childcare Franchise in the U.S. by Entrepreneur magazine for the fifteenth year (January 2016) and one of the Top 200 Franchise Systems (in worldwide sales) by Franchise Times for the ninth year (October 2015). With dual-income families being the norm, the demand for quality childcare is steadily increasing. More than 15 million children under the age of 6 require childcare. 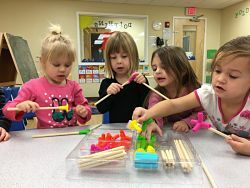 Besides being a recession-resistant business opportunity, owning a childcare franchise that helps to shape young minds can also be emotionally fulfilling. Our F.L.EX.® Learning Program (Fun Learning Experience) is based on academic research that shows children experience the deepest, most genuine learning when they are having fun. Designed to provide a well-rounded experience and ensure children become confident, joyful and fully prepared students, our play-based curriculum offers enrichment programs such as chess, music, yoga, drama and foreign languages to meet the individual needs to each child.